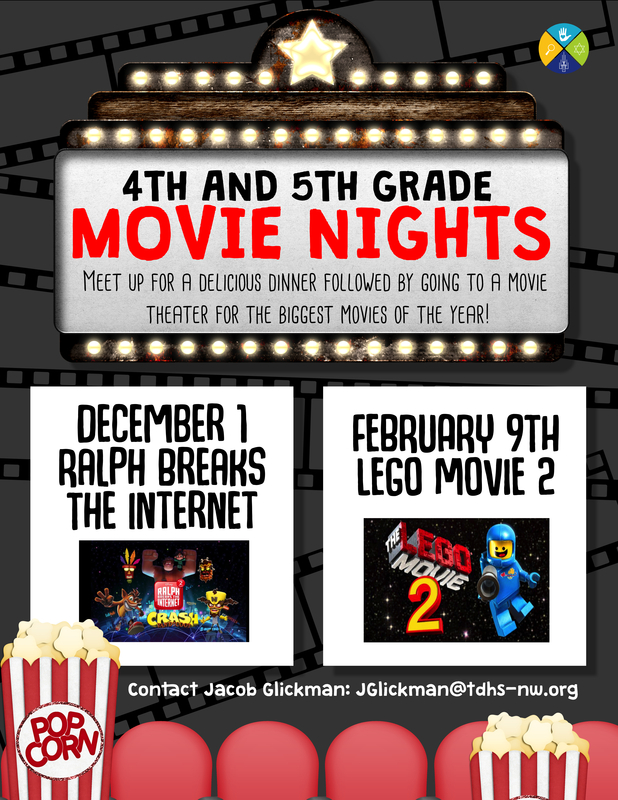 Youth Groups – Temple De Hirsch Sinai. Designed to empower our youth to live Reform Judaism, these programs are designed to create challenging, fun, relevant, and meaningful Jewish experiences. 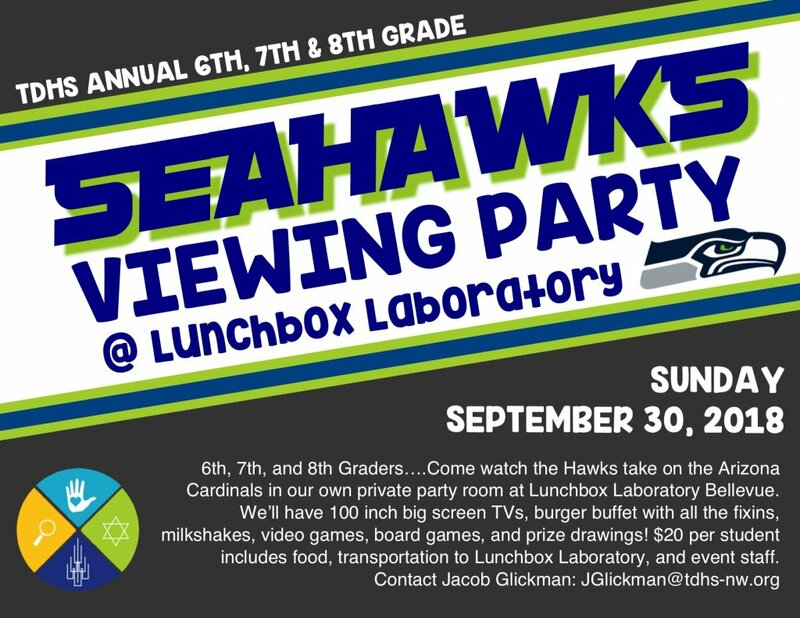 Social, social action, and informal educational experiences connect participants to a safe and supportive community while offering Jewish content in new and exciting. Club TDSY Calendar coming soon! 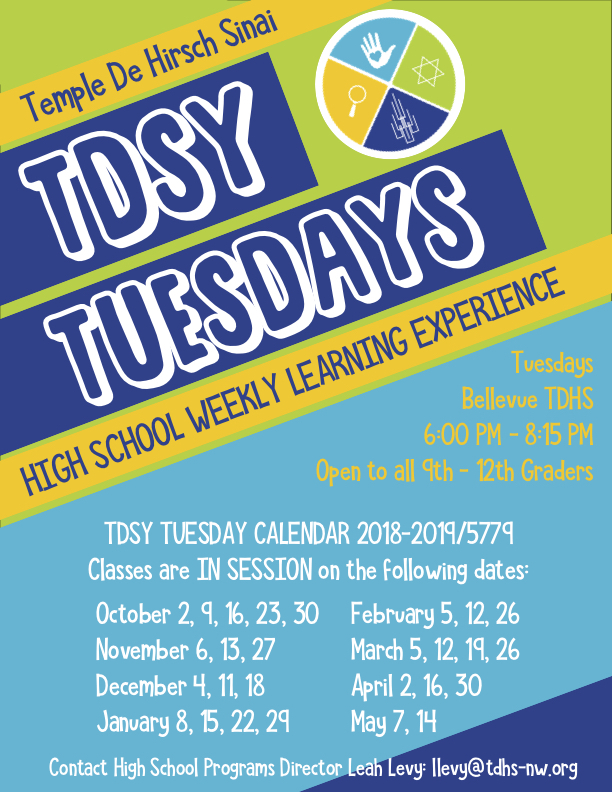 TDSY Jr., the junior version of TDSY, is designed exclusively for our 7 and 8 graders. 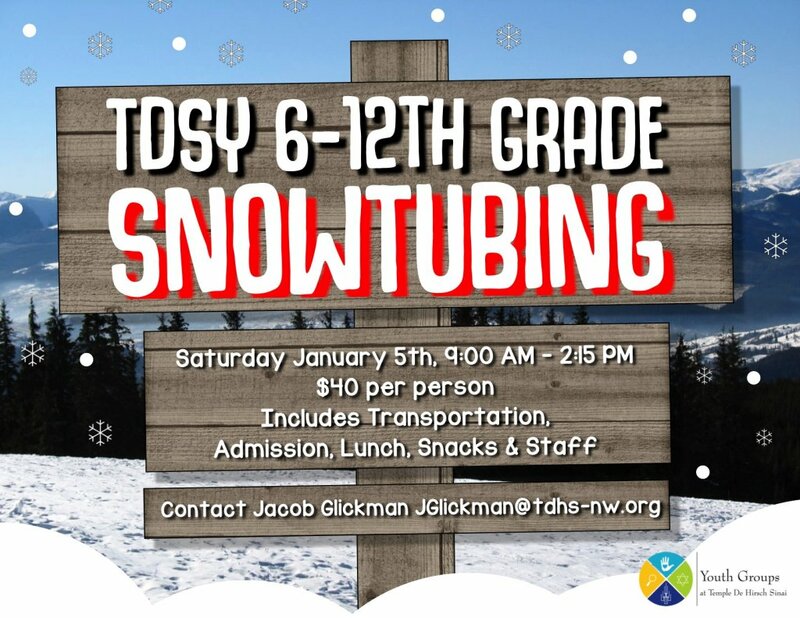 Providing primarily social experiences which expand Jewish connections and community outside of the Religion School and B’nai Mitzvah experiences, JTDSY events are a great way to have fun and meet new people. 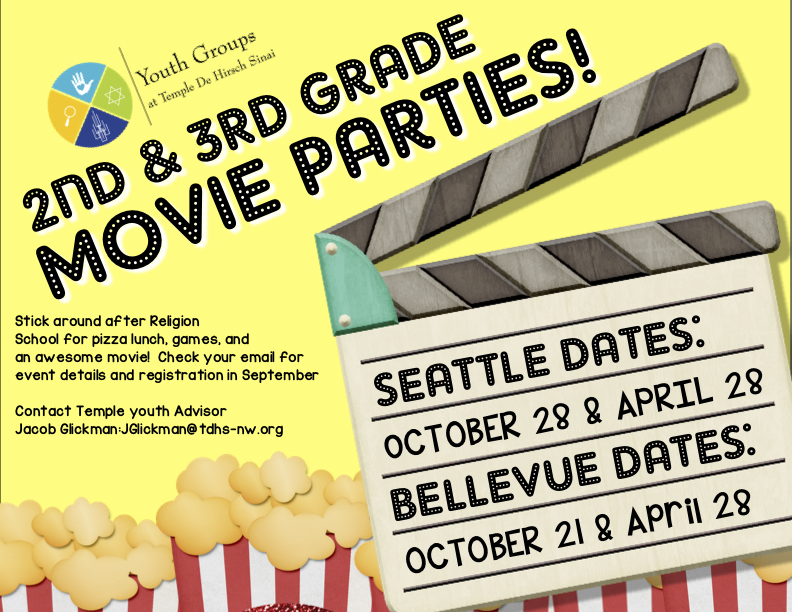 Many events are Tri-Temple — Temple, Temple Beth Am, and Temple B’nai Torah commonly join forces to create fun and exciting events. Having all three synagogues join forces allows participants to connect with a wide group of school friends, Camp Kalsman friends, and friends yet-to-be! 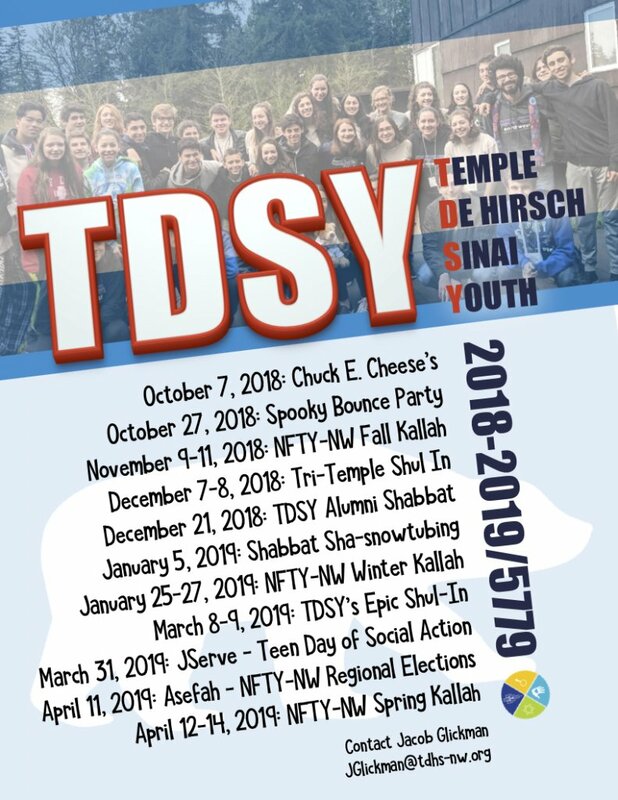 TDSY, the high school youth group at Temple De Hirsch Sinai, has long been one of the strongest youth groups in the NFTY-NW. 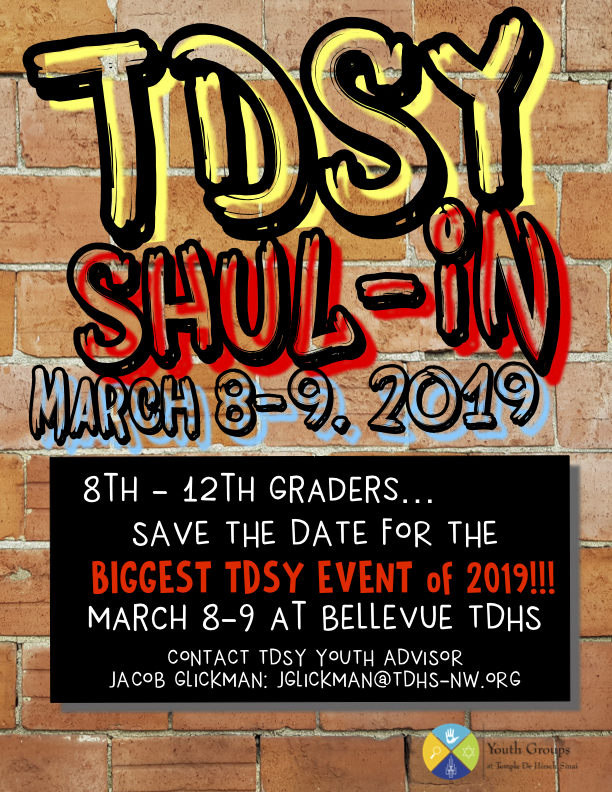 Planned and programmed by a peer-elected board with the oversight by advisors and rabbis, TDSY provides teens in our community the opportunity for continued growth and exploration of their Jewish identity in a fun and social environment.